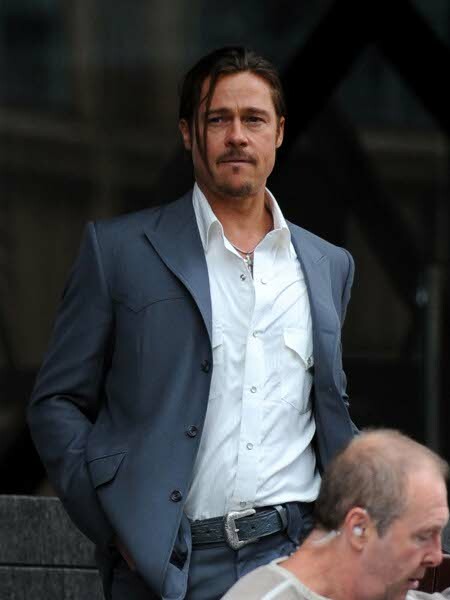 Brad Pitt is currently working on his new movie, The Counselor, and we’ve scored some pictures from the vibrant set in London! 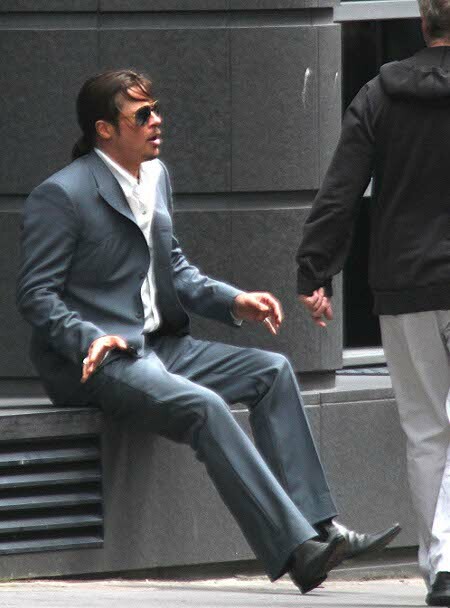 However, it wasn’t all fun and games on set. 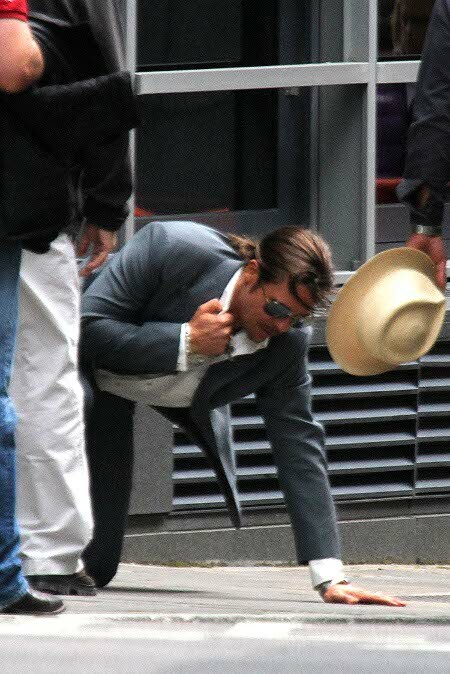 Brad had to call in a stunt double on more than one occasion to do a few scenes that were a bit too dangerous for him to do — who do you think Brad is, Tom Cruise? Brad’s a relatively sane man who knows when and when not to jump from a freakishly tall skyscraper (*Ahem* yeah, we’re looking at you Mr. Mission Impossible, Tom). 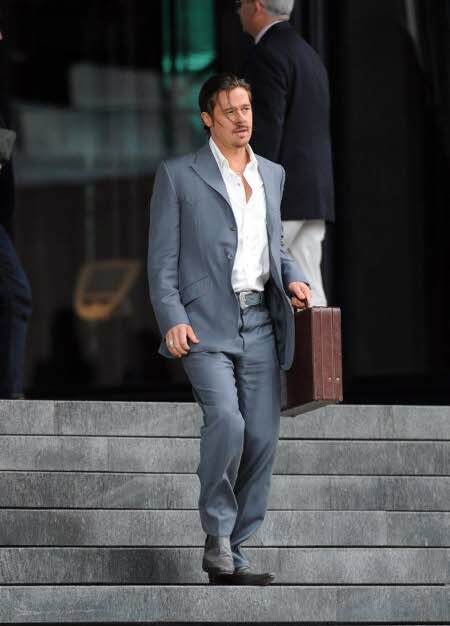 Brad Pitt‘s new movie is about a lawyer who finds himself on a high-intensity adventure after getting involved with a drug trafficking scheme. Sounds like one of those super original explosive movies that we could do without seeing but will probably pay ten bucks to watch anyway. Because, you know, we’ve never seen a movie about an unlikely protagonist who gets caught up in a dangerous situation. AHHHHH, danger, guns, explosions! 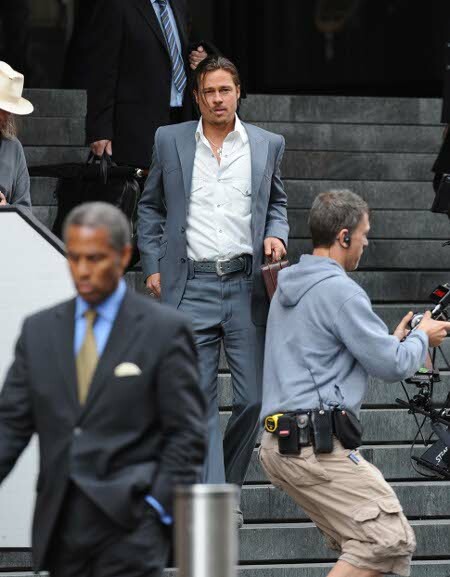 The actor was snapped on set early Saturday rocking his ponytail and wielding a leather briefcase, like only the best lawyers do. 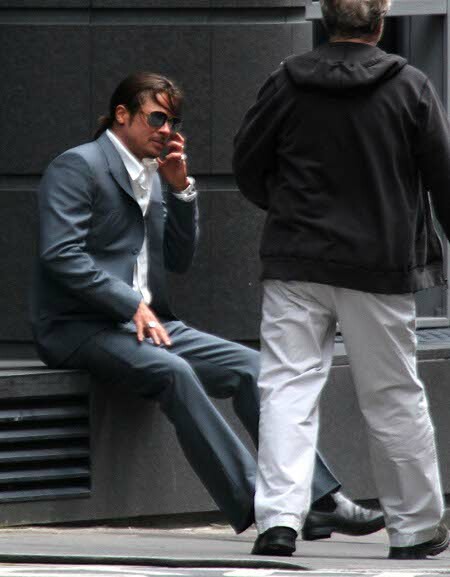 The film is scheduled to be released some time in 2013 and includes a star studded cast comprised of Michael Fassbender, Penelope Cruz, Javier Bardem, and Cameron Diaz. Not too shabby, huh? Make sure to check out the gallery below to get a first glimpse into this movie that is sure to be a blockbuster. Leave your thoughts in the comments and don’t be shy to tell us what upcoming movies you’re looking most forward to! Just think . . . there was a time when so many of you would’ve said Twilight: Breaking Dawn.